The Ford Fiesta has recently been awarded the rather positive accolade of being the UK’s best-selling car of all time. Millions of Fiestas currently occupy the country’s roads and you only have to take a quick glance around the car park to see just how many there are out there. So what is about this car that makes it so popular? Why do so many drivers choose a Fiesta over others? We’ve taken a look at what exactly it is that the public finds so appealing, as well as some examples of the best Fiestas you can buy. The first and arguably most longstanding positive aspect is the fact that Fiestas are made by Ford. With many generations of fantastic vehicles under their belt, this powerhouse of the motoring industry is renowned for consistently producing excellent cars. Precision engineering and innovative designs are a part of the Ford philosophy and the Fiesta has evolved over time, going from strength to strength. Another key selling point is affordability. Being a smaller, more compact hatchback, the Fiesta is a cheaper car to buy new. In terms of fuel consumption, the more recent Eco-range also offers some of the best mpg for cars of its class. Further, because there are so many buyers are spoilt for choice when it comes to the online used markets. Thanks to their popularity used Fiestas hold their value well. Fiesta 1.0 EcoBoost Zetec 5 door – A fantastically economical vehicle and surprisingly fast despite its small 1.0-liter engine. The technology that goes into the engine is matched only by the excellent handling and comfortable ride from this more recent generation of car. 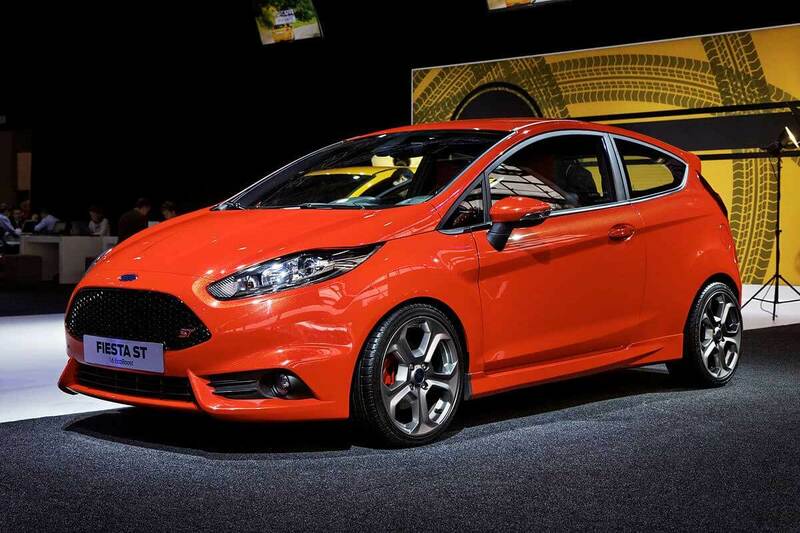 Fiesta ST 1.6 Hatchback – Much like its slightly larger Focus ST cousin, this turbocharged model is a powerful one and can offer 180bhp. This pacey small car can provide a more affordable option for petrolheads while also being a practical choice thanks to its surprisingly spacious interior. Fiesta MK 6 1.4 Diesel – Despite being from a slightly older generation, this is a cheap and reliable car. This diesel model, while not being the quickest, is sturdy and durable, making it a great family run-around. So if you are looking for a new car, why not choose the Ford Fiesta and experience for yourself exactly why they are the UK’s most popular choice.